Slaley Hall has been voted ‘best golf hotel/resort in the north of England’ in the 2019 Today’s Golfer Travel Awards… for an unprecedented fifth successive year! The multi-award-winning venue in Hexham – managed by RBH, the UK’s leading independent hotel management company – topped the readers’ poll in the UK’s best-selling golf magazine for the fifth year in a row, as it saw off the challenge of a number of other top northern venues. What’s more, its Hunting course also recorded a podium finish, being hailed as the one of the best golf courses in the north of England. And golfers may enjoy these award-winning facilities for themselves in 2019, with a two-night dinner, bed-and-breakfast break – including golf on both the resort’s outstanding courses – from just £159 per person. Andrew Fox, Slaley Hall’s general manager, said: “We thought last year’s achievement of four in a row was outstanding. But what an honour it is for the golfers of the UK to hail Slaley Hall as the best resort in the north for five years on the bounce. Slaley Hall is set in 1,000 acres of Northumberland moorland and forest. It is a magnificent four-star hotel in an elegant Edwardian mansion, with two challenging championship courses – the Hunting and the Priestman – which have played host to no fewer than 18 European Tour and European Senior Tour – now the Staysure Tour – events. 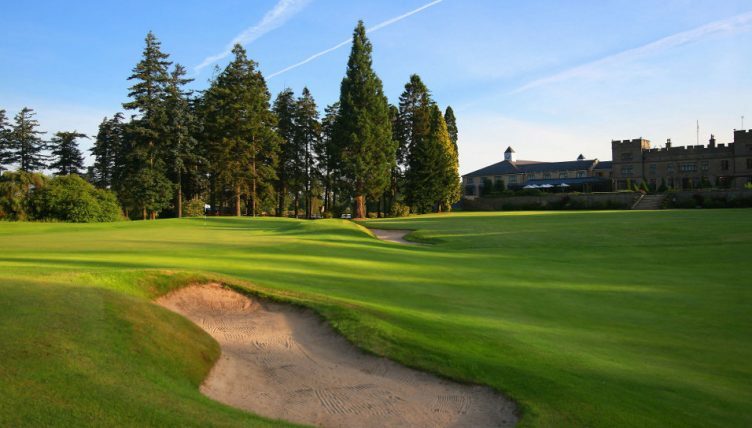 The 7,000-yard, par-72 Hunting, designed by Dave Thomas, has lush sweeping fairways, streams, lakes, towering trees and banks of rhododendrons – but, aesthetics aside, it will catch out the unwary. Well-placed bunkers and tricky greens make this USGA standard course a real challenge. The quality of Slaley Hall’s elder layout is illustrated by the fact the course is often dubbed ‘The Augusta of the North’. The Priestman course was designed by Neil Coles and opened in 1999. Beautifully maintained, the course has matured magnificently. It sits on the west side of the estate, with panoramic views of the Tyne Valley and some daunting water features, and wind can be a factor on a course which hosts regularly European seniors’ events.